As you can probably guess, this is more than just a peachy, mauvey pink. It’s got teeny neon pink glitter, tiny iridescent glitter, purple microglitter, and tons of gold shimmer. Also- one of the features that makes so many WingDust stand out for me- gold flakes! Weeeeeee I have actual gold on my nails! It makes me feel super fancy. Like maybe I’m a stealth billionaire, so rich and fancy that I wear gold on my nails. I mean, I’m not a stealth billionaire. But I could be. This is three coats, and it’s doing a great job of being opaque (and covering the pretty alarming staining I have from a previous polish). I know polishes with gold flakes can be tricky, but I found this easy to work with. If you dig it, you can buy it! 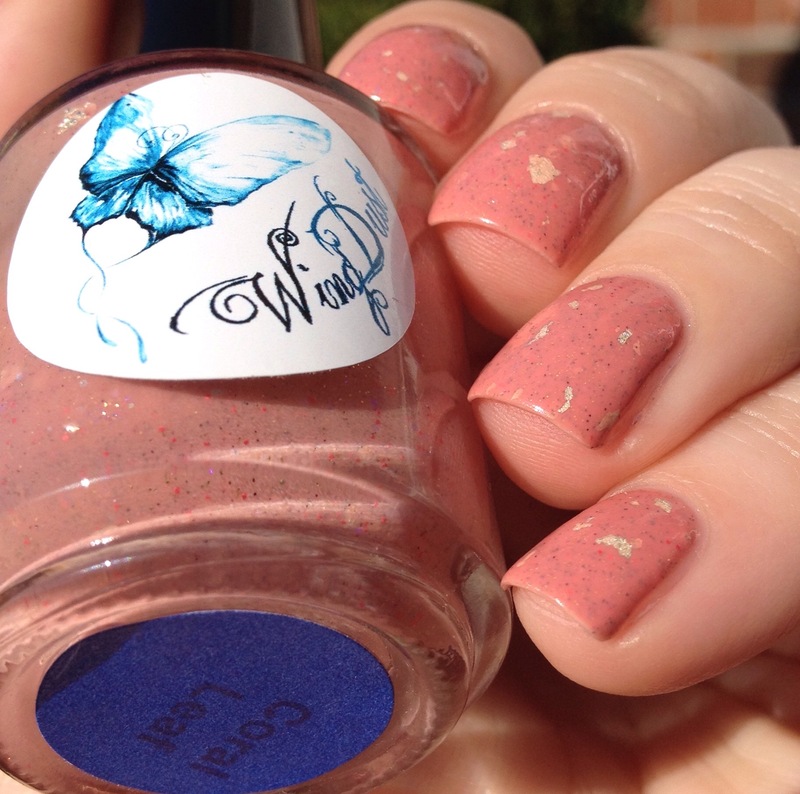 There is occasionally some stiff competition for WingDust polishes on international stockists (I bought this from Llarowe), but WingDust also has an Etsy site where you can purchase without having to practice you restock-speed-fingers. If it helps to know, WingDust is a Canadian brand!